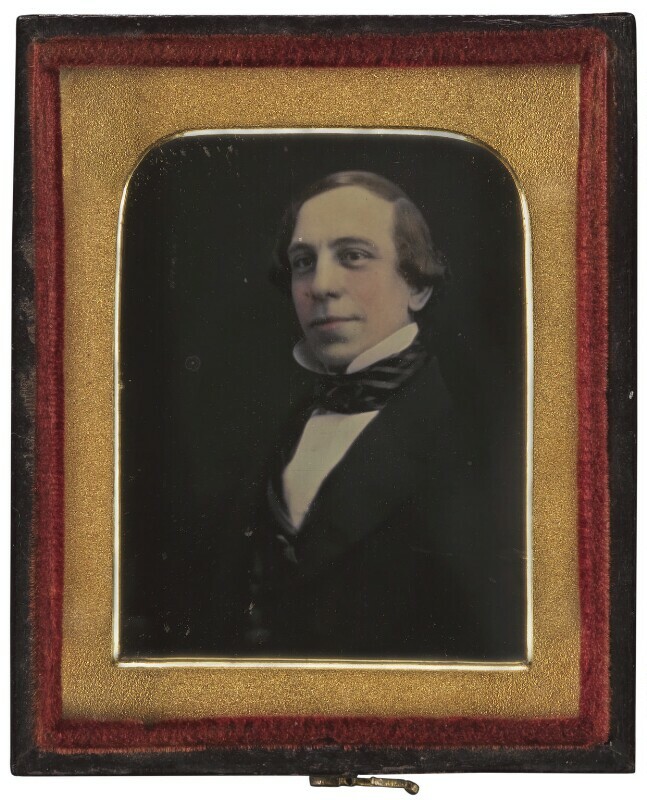 Henry Brinley Richards (Carl Luini) (1819-1885), Pianist and composer. Sitter in 3 portraits. Cardinal Wiseman, a Catholic priest who had exerted a strong influence on the Oxford movement, is made a Cardinal and leader of the Catholic church in England, thus restoring Roman Catholic hierarchy in England. Death of poet laureate William Wordsworth; his great autobiographical poem The Prelude is published posthumously, famously charting the growth of the poet's mind. Tennyson's In Memoriam is also published. A poignant record of his grief over the death of his friend Arthur Hallam, the poem also movingly questions the strength of faith in an increasingly scientific age. Up to 50,000 pioneers travel west in wagons on the Oregon trail in the United States, one of the main overland migration routes across the continent. Spanning over half the continent, the trail led 2,170 miles through territories and land which would later become six US states, including Kansas, Wyoming and Oregon, helping the US to implement its goal of Manifest Destiny - building a nation spanning the North American continent.